When you have 12 different garden clubs decorating the rooms of a mansion, how do you assure that the house will have a coherent look? At the Theodore Roosevelt Inaugural Site, they choose a theme and colors. 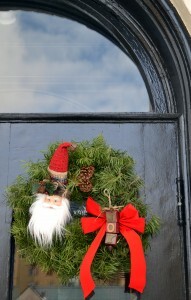 This year’s theme is “A Visit From St. Nick” and the colors are red and gold. That color scheme can be seen in the elegant dining room at left, decorated by the Lancaster Garden Club. The portrait is of Frances Wilcox, daughter of Ansley and Mary Grace Wilcox, who owned the mansion where Theodore Roosevelt was inaugurated in 1901. In addition to the theme and colors, garden clubs were challenged to capture the spirit of the era. 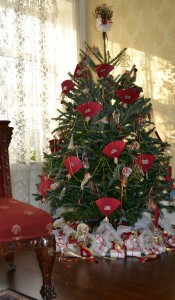 The Orchard Park Garden Club decorated a tree with fans and tussy mussies, objects that were emblematic of the times. A fan was a fashion accessory at that time, and tussy mussies, small bouquets of flowers, were popular as well. 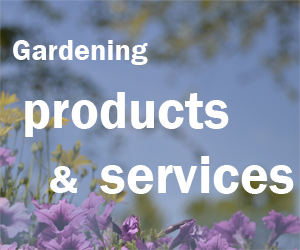 The clubs generally followed the rules of the Federated Garden Clubs in their creations, with a few exceptions. For example, they would normally use real berries in wreaths and swags, but the Inaugural Site asked them not to– If the berries fall on the carpets, they can stain. 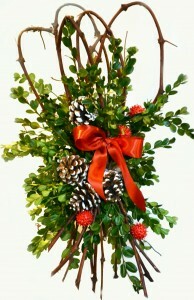 The decorations created by the Hamburg Garden Club, left, use fresh and dried natural materials– except for the berries. 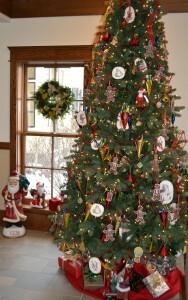 The entrance to the second floor was decorated by the Willowridge Garden Club. That area features door hangings, seen below right. The area is festooned with red drapes held back by rings of holly as well as lavish swags of evergreens accented by yards of wide ribbon in red and gold. To decide which garden club decorated which area of the mansion, a lottery was held. 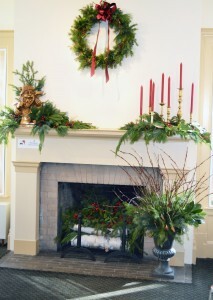 The club drawn first chose the area they’d like to decorate, the second club chose from the remaining areas, and so on, explained Adrienne Pasquariello, who, with Barbara Wiedemer, is chairing the gardeners’ decoration of the mansion. Betty Nosbisch, who chaired or co-chaired the gardeners’ decorations for 13 years, died Oct. 2 at age 88. She was the motivating force that developed the garden clubs’ role in the Victorian Christmas. Outside judges will choose winners, and the public can vote as well. 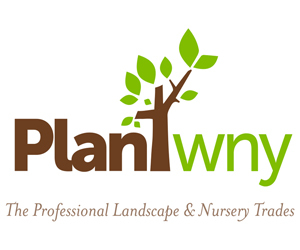 Winners will be announced in April. 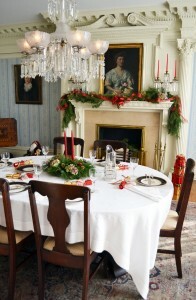 The decorations can be viewed until Dec. 30 at the Theodore Roosevelt Inaugural Site, 641 Delaware Ave., Buffalo. The museum may be visited by guided tour only. Tours are scheduled every hour on the half-hour, beginning at 9:30 a.m. weekdays and 12:30 p.m. weekends. The last tour is at 3:30 p.m. Group rates are available. It was great fun to tour the mansion! They used natural products in novel ways. I especially liked the flowers made from milk week pods with yarrow centers. It’s nice to look at the rooms to get a feel for the overall look, but it’s also good to take some time so you can catch the details. Thanks for the comment!